In the last months of 2009 Egypt launched the first internet domain name to use Arabic script. The move is the latest step in the country’s initiative to make Egypt the key ICT presence within the Middle East. Egypt is an ideal contender for a push into the Middle East ICT arena. The country has Africa’s largest online population: there are 13 million internet users, a far cry from the 450,000 Egyptians using the internet 10 years ago. And as the financial crisis continues to pinch the balance sheets of the corporate sector worldwide, Egypt, with its large supply of low-cost skilled labor has become a top destination in the Middle East for outsourcing. The sector is currently registering double digit growth amidst the global financial crisis. The launch of the first internet domain name in Arabic script is a telling example of how concerned with Egypt is with cornering the market. And the benefits of such a scheme are phenomenal. 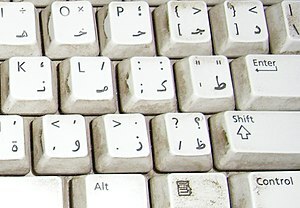 Arabic is currently the fastest-growing language online, with about 300 million native Arabic-speakers worldwide. Moreover, the huge deficit in online content in Arabic compared with the number of Arabs online, between 3% and 5% of all Internet users, suggests Arabic content will grow exponentially in the next few years. Within Egypt alone 65% of the internet users are not versed with the English language, making this new development an absolute necessity if the country is to find a firm foothold on the market. “If you go out in rural areas and places outside big cities the majority are much more comfortable using all electronic services in Arabic,” he said, adding mobile use would not have risen so fast in Egypt, where about 50 million of its 77 million people are users, without Arabic-language ability on phones. While the Arabic domain name is not yet ‘100% operational’ enthusiasm for the introduction of Arabic content online is already producing results. In December an initiative was launched to boost use of Arabic on the Web resulting in a project between IBM and Egypt’s government to digitally document the National Archives to set up a database for the country’s cultural heritage. “Arabic content on the web will be increased by 25 million records in the National Archive’s database,” IBM Project Manager Ahmed Amr Ali told Reuters, adding that the National Archives’ website had a sample of 1 million documents on the web so far. Through the introduction of the Arabic domain name Egypt is upping the ante for information technology within the country. It has already pushed a significant amount of funds to integrate IT into the nation’s schools, hoping to bring IT companies and schools together, is already being applauded throughout the region as further proof of Egypt’s reputation as an IT trailblaser in the Middle East. In April 2009, Prime Minister Ahmed Nazif signed an agreement with Microsoft to develop technological collaboration across a number of sectors, including education. Other companies involved in include Cisco, Intel and HP, as well as a variety of local firms. Heading into the next decade Egypt stands poised to defend its reputation as the regional forerunner in ICT. This summer saw the opening of another major technology park in Cairo, Maadi Technology Village, with seating capacity for 40,000 workers. For Egypt’s ICT sector, then, it seems the only way is up.